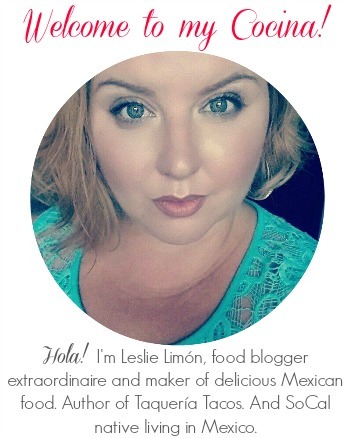 This month, for She Made/Ella Hace it's all about Mole! Ole! 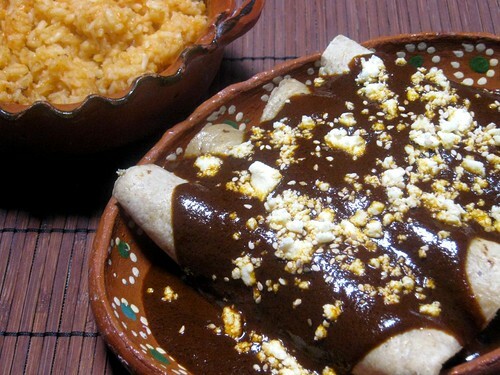 Heather is cooking up a rich and delicious Mole Amarillo on her blog, Girlichef. 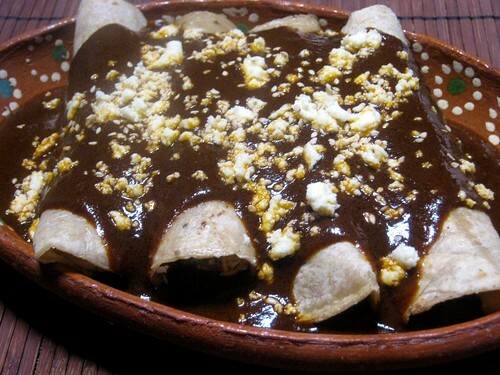 And I'll be serving up a hot plate of Enchiladas de Mole. But before we get to the recipe, I want to introduce you to an old friend of mine. She's been a friend of the family for as long as I can remember...Doña Maria. This was the Mole that my grandparents always made when I was a little girl. 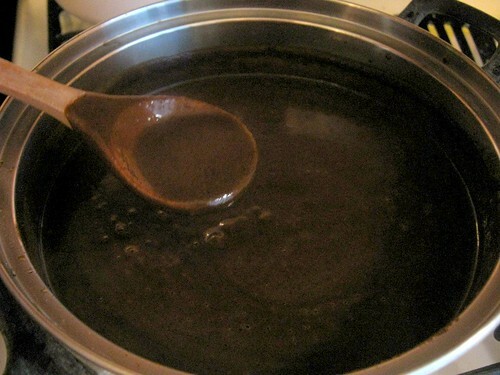 Of course, when I grew up and got married, I learned how to make Mole from scratch and my grandpa preferred my Mole Dulce to Doña Maria's. 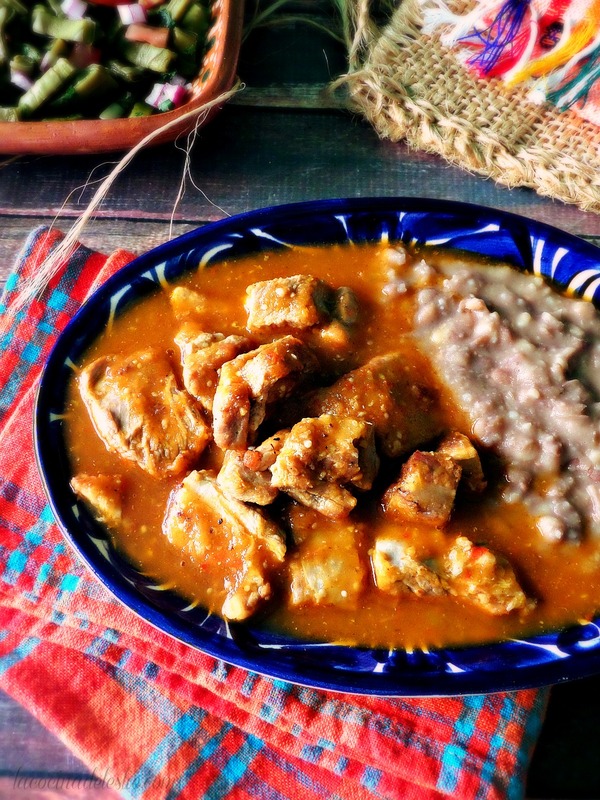 But still, whenever I spot that little jar of Mole at the tiendita, I am reminded not only of my grandparents' collection of Doña Maria jars that they used as drinking glasses, but also of one of my childhood favorites that Pappy (my grandpa) used to make...Enchiladas de Mole. 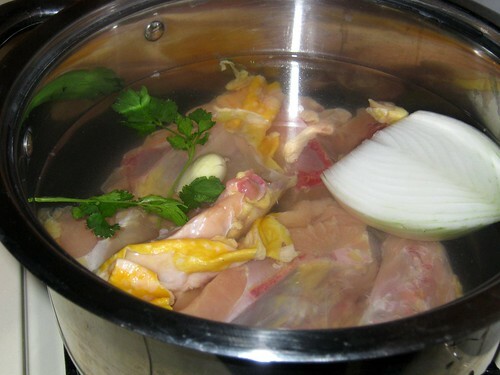 Place the chicken in 3-quart stockpot with the garlic, cilantro and 1/2 of the medium onion. Fill the stockpot with enough water to cover the chicken; season with salt and pepper. 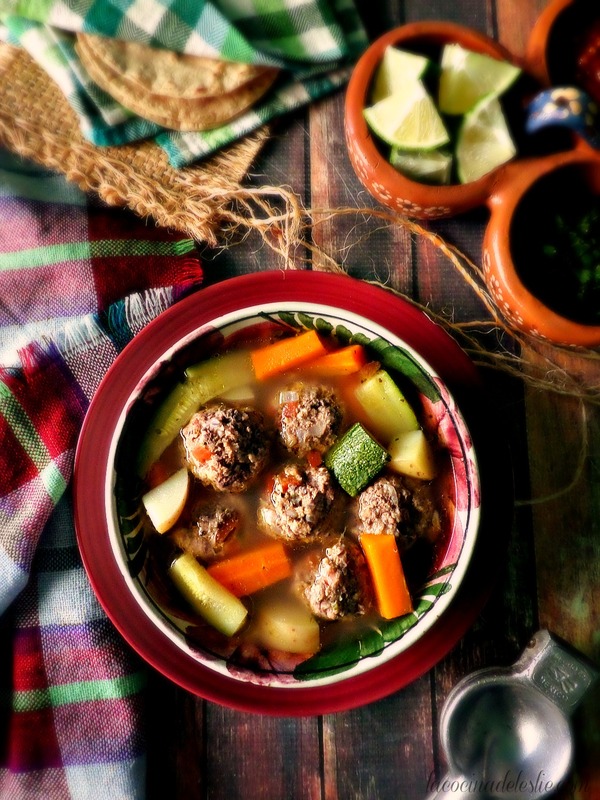 Cover stockpot and cook over medium heat until tender and cooked through. (60 to 90 minutes). Shred the chicken and gather the rest of your ingredients. Heat the sauce over medium heat, whisking occassionally to prevent lumps from forming. Season lightly with salt and pepper. 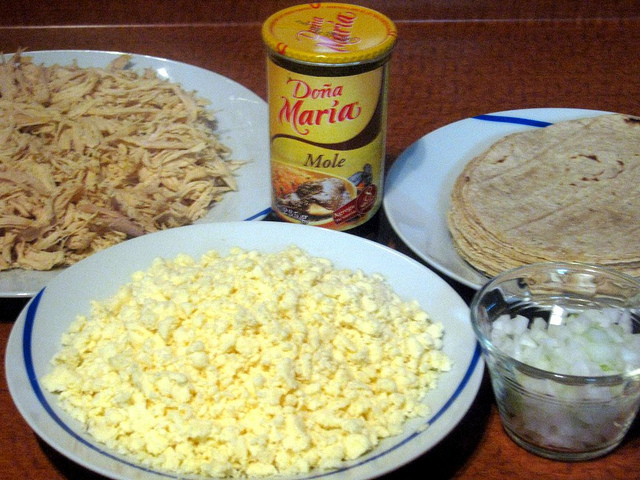 Top each tortilla with a couple tablespoons each of shredded chicken and Queso Fresco. Top with a little chopped onion. 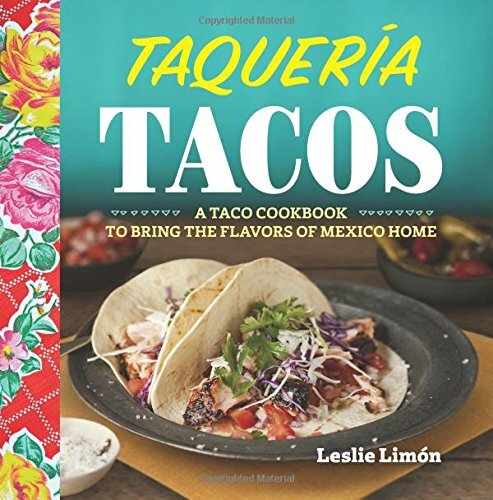 Roll up the tortillas and place seam side down on a heat proof plate or baking dish. 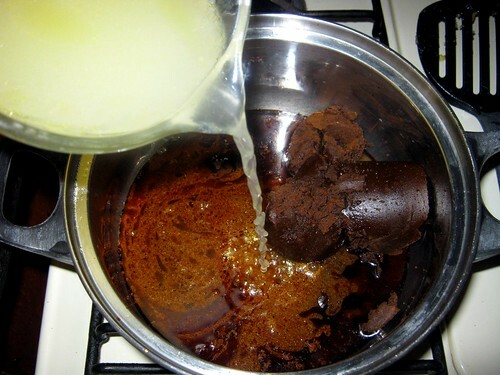 Ladle the warm Mole sauce over the enchiladas. Top with more crumbled Queso Fresco and Sesame seeds, if desired. 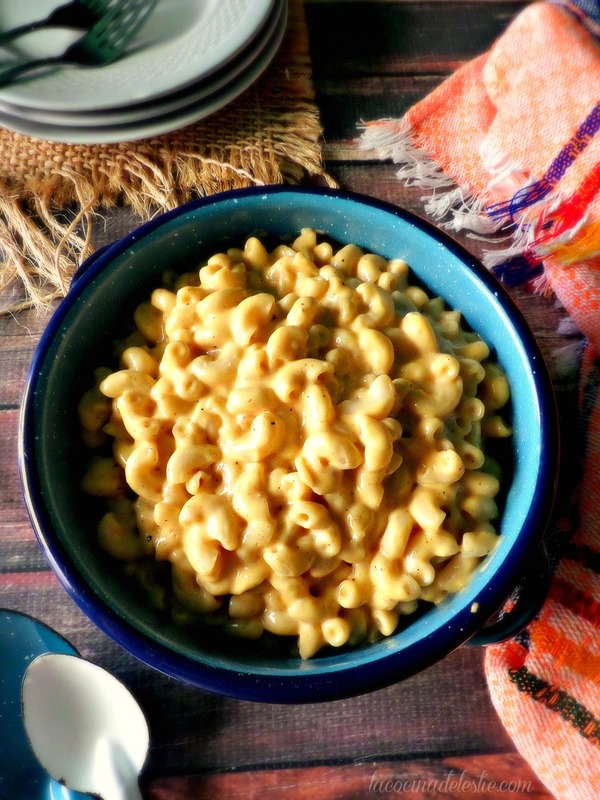 Bake at a 350F for about 20 to 25 minutes or until the cheese has completely melted. 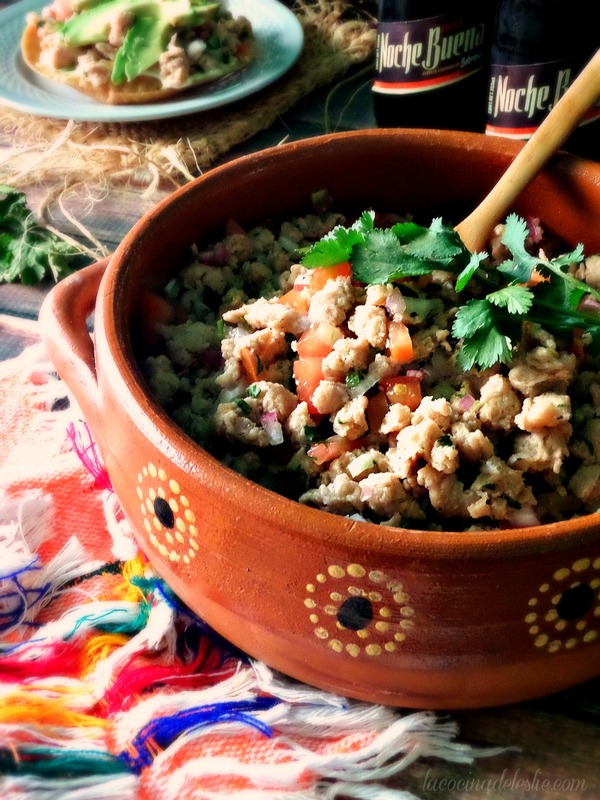 Serve with Refried Beans and Mexican Rice. Enjoy!!! 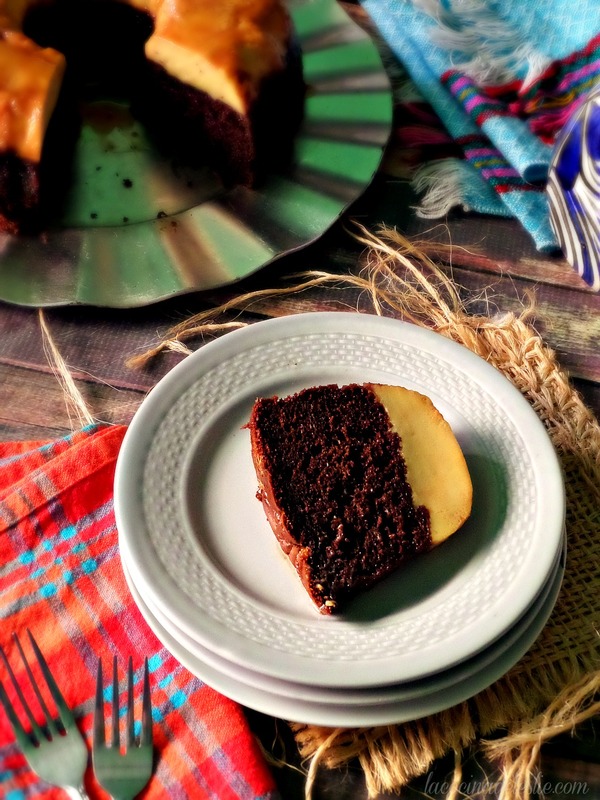 Hey, Dona Maria is a good friend of our family too! She gets around :) To make one step easier, you could warm the tortillas in a tortilla warmer in the micro so they are nice and soft and then proceed with the filling and baking. 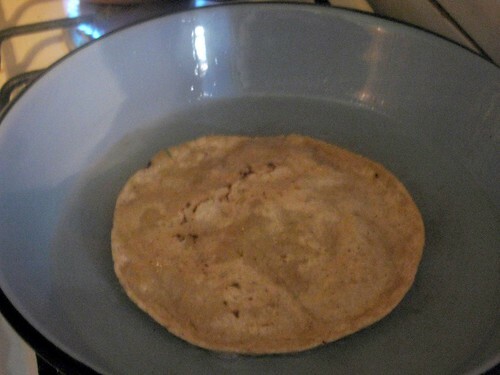 A little quicker to get a stack of tortillas ready to fill, and maybe just a little healthier without the frying part. Your photo captures the yuminess of it all! 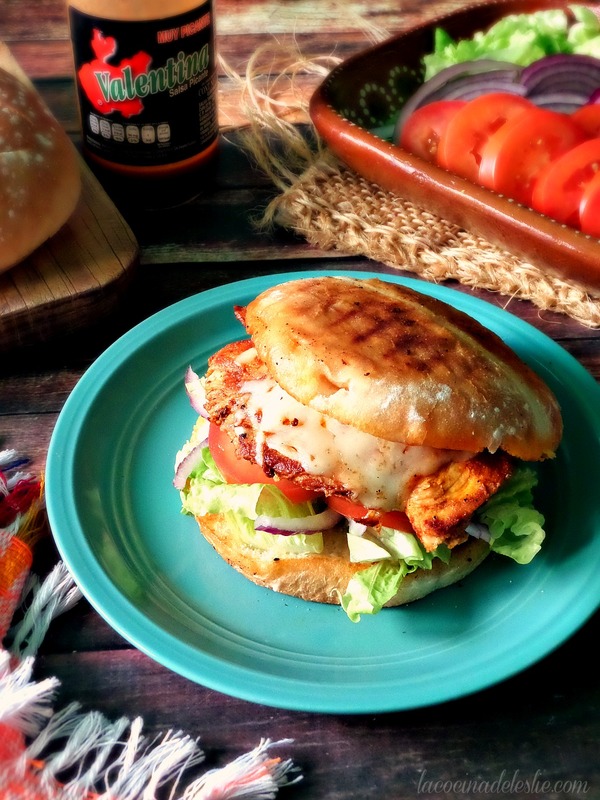 I have never tried Dona Maria, but I am willing to try any recipe your Pappy made. They look awesome and I love the idea of using the jars as drinking glasses. wow this is delicious! 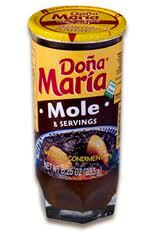 I actually add sugar to my mole because i like it sweet. 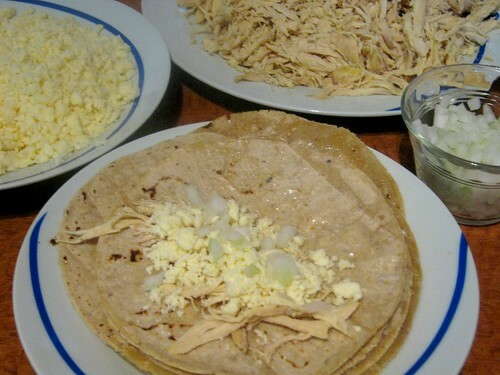 :D also i don't add chicken, but crema, onion and queso fresco which now that I think of it, it's called enmoladas. lo hacemos así pero añadimos zanahorias y papas hervidos con el pollo. lo as probado así? Tried these out tonight... Added about a tbsp of sugar, just because we like it sweet and made them traditional without the baking. My husband ate seconds. SO delicious! Thanks for giving us something to add to the rotation.